Gardasoft will be launching a new generation of dual channel, high power lighting controllers suitable for a huge range of machine vision applications. 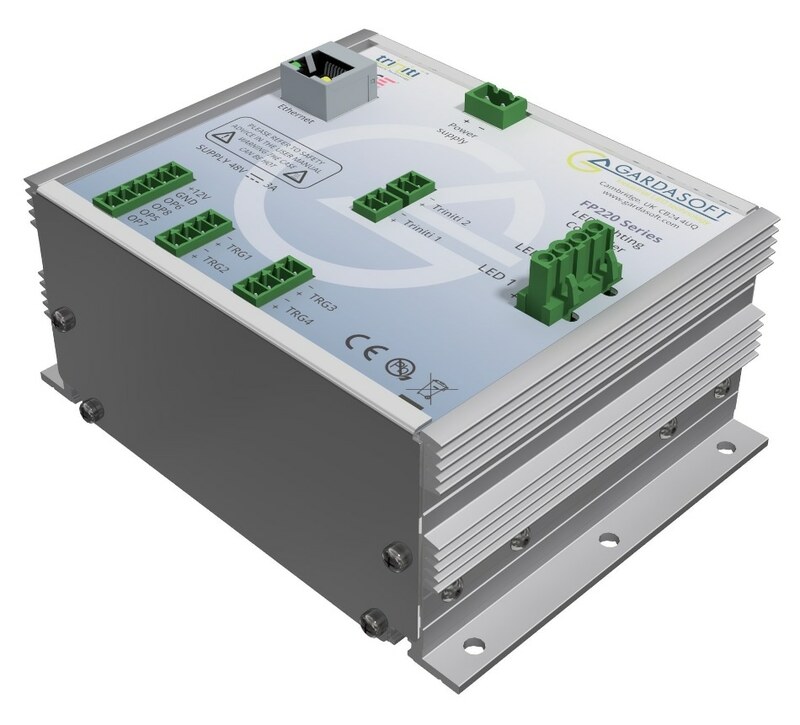 The FP200 series of controllers uniquely combine capabilities for high frequency, high power LED pulsing with outstanding low output current performance. Other products on show will include a controller for OLED panel illumination, embedded solutions for lighting and liquid lens control and a multichannel lighting controller illustrating computational imaging. The FP200 series utilse enhanced technology for faster pulse rise times, with trigger frequencies up to 10kHZ for high speed pulsing applications such as line scan imaging. A maximum pulse current of 20A also allows high power, long pulse applications such as UV curing. In addition, the new controllers deliver improved performance for low current output with accuracy and repeatability at sub-milliamp levels which is vital for applications that are very sensitive to lighting variation. Integration into machine vision systems is made easy with standalone or triniti™–compatible versions available, allowing Gardasoft’s triniti intelligent lighting platform to be used if required. Web-browser configuration makes set-up straightforward. With significantly increased overdriving capabilities for high intensity short pulses, the FP200 series provide full LED protection through Gardasoft’s SafeSenseTM technology. SafeSenseTM also provides LED status information to aid system diagnostics. The units are further protected by SafePowerTM, which provides automatic flexible operation with low heat dissipation. Gardasoft’s comprehensive range of machine vision controllers also on show includes universal and intelligent lighting controllers and the CC320 trigger timing controller for flexible and innovative machine vision sequencing. A 16-channel PP1600 controller will be sequentially driving a 4-segment ring light from CCS Inc. for computational imaging applications. The TR-CL series of lens controllers will be in action with Optotune electrically-tunable lenses to demosnstrate image focusing in less than 10 milliseconds.